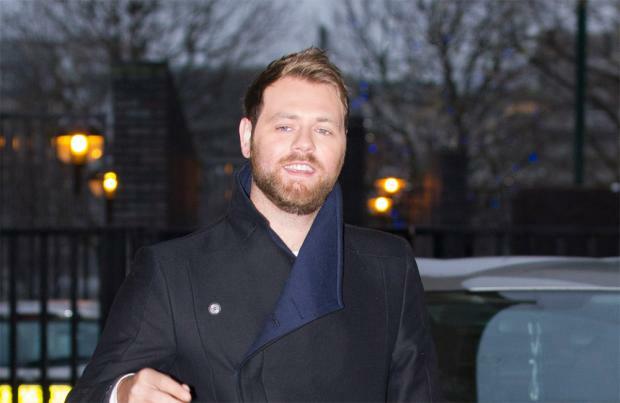 Brian McFadden never wanted to be part of the Westlife reunion. The 'Dancing on Ice' star was pleased for his former bandmates – Nicky Byrne, Shane Filan, Kian Egan and Mark Feehily – when they announced that they were getting back together six years after they split for a new album and a huge tour. Brian quit the band in 2004 and although he knows he could have made a lot of money from getting back with the boys he admits it never crossed his mind as they were together longer as a four-piece and released more records without him, so it wouldn't be right. When asked by Lucy Horobin on Heart Breakfast whether any part of him wanted to be back performing with the group, he said: "My accountant really wanted me to do it! He was really encouraging me to try and get in there but no. Not personally. Look I left the band in 2004. It's a long time ago. And we even look different now. You know even our beards don't match anymore so it wouldn't have worked." Brian admits he does still speak to Nicky via social media but he's not particularly close to the Westlife guys these days because they've all moved on. The 'Almost Here' singer said: "I speak to Nicky on Twitter. They're kind of like your other celebrity friends, because we follow each other on Twitter, we're basically best friends now. So yeah I have the odd Twitter chat with Nicky but the rest of us haven't. There's no bad blood, it's not like I don't like them or ... well I don't know if they don't like me, they probably don't like me! "It's just one of those things, it's like you go to college with people, when you leave college you don't stay hanging out for the rest of your life, you move on. You know I've lived in Australia for seven years and we've lived in different countries, we have different friends and different lifestyles."